With the discovery, the researchers have answered some of the greatest questions about C. diff, shed light on why antibiotics lead to severe C. diff and identified a potential way for doctors to prevent the life-threatening infection—and possibly other infections as well. 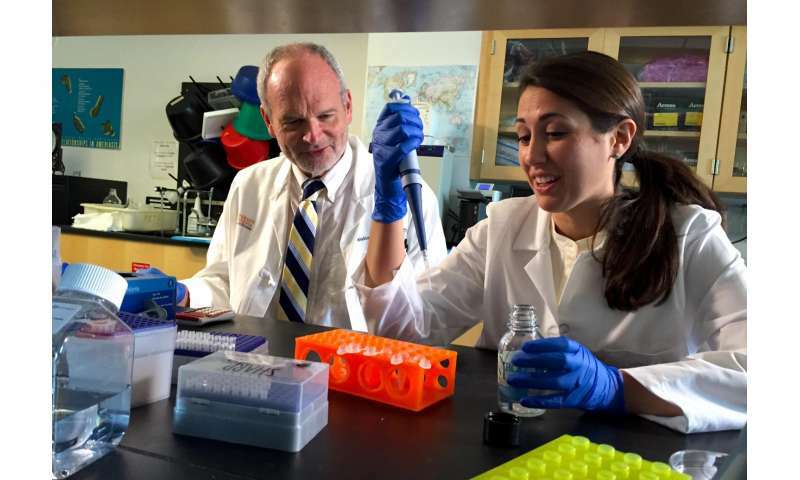 Bill Petri, MD, PhD, chief of the Division of Infectious Diseases and International Health at the UVA Health System, hailed the discovery by UVA's Erica L. Buonomo, PhD, and colleagues as "the most remarkable breakthrough I have participated in as a scientist." 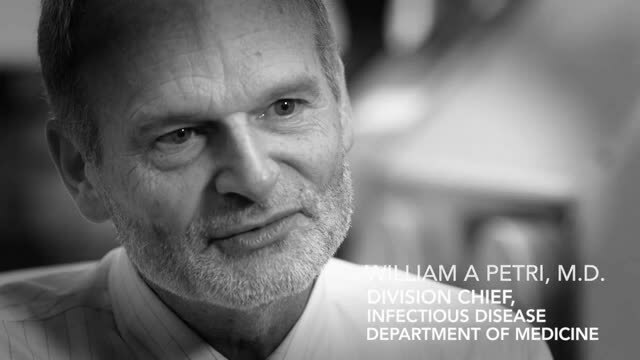 "Antibiotics are really important, and very often you have to give antibiotics, but you do it knowing that you're predisposing your patient to another infection [C. difficile] that is potentially lethal. About one out of seven people with this infection dies in North America. So it's a terrible dilemma for physicians," Petri said. "This is not a common complication of antibiotics, but when it happens, it's a very serious one. This work enables a potential long-term solution to that, which is probiotics to restore the natural state of the gut." There were almost half a million C. diff infections in the United States in 2011, and approximately 29,000 patients died within 30 days of infection, according to a study released last year by the U.S. Centers for Disease Control and Prevention. 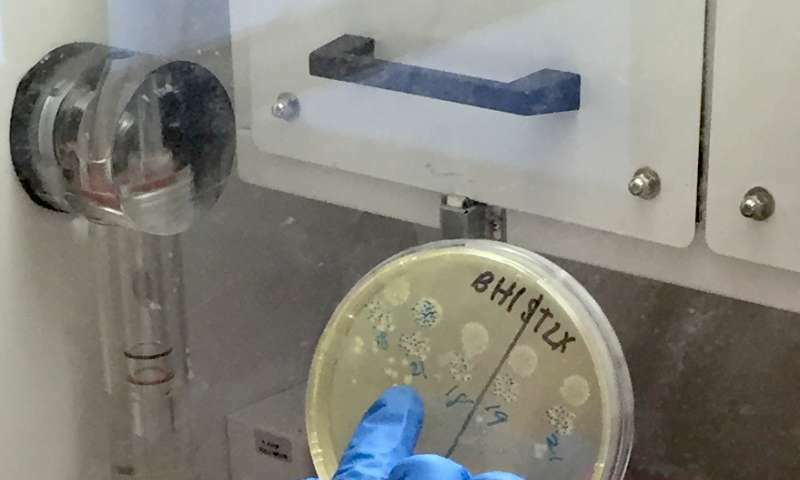 The agency has classified the bacterium as an "urgent threat," noting the rise of a new epidemic strain in recent years that has made the infection even deadlier. Kris Chadee, PhD, a professor at the University of Calgary who was not involved in UVA's C. diff work, called the discovery "as unexpected as it is important," noting that the finding "has immediate implications for therapy: Probiotics designed to restore the healthy gut microbiome should be an effective way to prevent this life-threatening infection." C. difficile is primarily a hospital-acquired infection, and it predominantly affects the elderly, particularly elderly people on antibiotics. UVA's discovery offers answers about why that is. The researchers showed that the gut bacteria stimulates the production of a protein called IL-25, which then recruits protective cells called eosinophils. As such, IL-25, the product of "good" bacteria, protects the lining of the gut from pathogens. Antibiotics, however, disrupt our body's natural bacterial populations, leaving the gut lining vulnerable to C. diff and other infections. Intriguingly, the researchers found an important and unexpected role for eosinophils, a type of white blood cells. These cells are often vilified for their role in causing both allergies and asthma, but in the battle against C. diff, they can be life-saving. IL-25, the UVA researchers show, protects us from C. diff by manufacturing eosinophils to guard the integrity of the gut lining. The epidemic strain of C. diff is so deadly specifically because it kills eosinophils, allowing it to breach the gut, the researchers determined. "We found that if you deplete eosinophils, either genetically or by an antibody neutralization, you lost the integrity of the epithelial barrier in the gut," Buonomo said. "Maintaining that barrier is very important for having a healthy response to C. difficile. It also prevents bacteria from spreading to other sites in the body, so if you have a breakdown in the barrier, you can have a septic response or bacteria in your blood or in other systemic organs." The findings suggest that researchers should be able to develop new probiotics that patients could take to ward off C. difficile. "We could end up that every person taking an antibiotic is taking a new probiotic that is specifically designed to maintain IL-25 and eosinophils," Petri said. Petri noted that Buonomo joined his lab while a graduate student at UVA, and he credited the discovery to the new perspective she brought. "Erica was a card-carrying immunologist before she came into my lab," Petri recalled. "She came with an immunology mindset, and the lab wasn't immunology focused at all. It's changed. We've all seen the benefit of having that perspective, of looking at how the immune system is responding to the bacterial infection."